Edinburgh is the capital city of Scotland and is the second-largest city in Scotland. The approximate size of the City of Edinburgh is 259 km². There's almost half-a-million people who call Edinburgh their home. English is spoken in Edinburgh and the currency is the Pound Sterling. What is Edinburgh’s number one attraction? Edinburgh Castle is definitely the city's most famous tourist attraction. 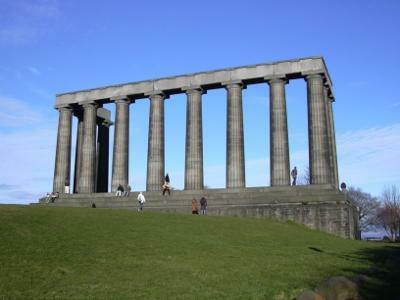 As this is the most popular spot in Edinburgh, be prepared for crowds at the peak tourist months during the summer. Incidentally, it is also Scotland’s number-one attraction overall. The castle is an impressive fortress and offers some amazing views of Edinburgh from its position overlooking the city. It also provides visitors with a great history of the castle and the city too. Guided tours are available of Edinburgh Castle and there are many events happening in the castle all year round also. So you’d recommend it then? Absolutely. To get in it costs £16 from June to September and £14.50 the rest of the year, but it’s well worth the money. Two hours is what you’ll need to properly appreciate all that this ancient fortress has to offer. Some of its highlights include the Royal Apartments, the Scottish National War Memorial and the Crown Jewels. If you’re going, do so before 1pm. It’s at this time each day that Mon’s Meg, an old canon, is set off. Anything else which shouldn't be missed in Edinburgh? Edinburgh is a beautiful city with a lot to see and do! Make sure you check out St Giles' Cathedral that stands on the Royal Mile. Also if you want to see a spookier side of the city then take a tour of the Edinburgh dungeons or a ghost tour of the city! A trip to The Scottish Whisky Centre is a must for those interested in the history and maybe also a taste of Scottish whisky. Edinburgh definitely has a lot of art and culture to offer. As it is such a historic city, culture is greatly embraced! There are lots of museums and galleries to choose from, such as The National Gallery of Scotland, The Children’s Museum and the Royal Museum/Museum of Scotland, to name but a few. Edinburgh is also home to many festivals such as the world famous Edinburgh Fringe Festival, Arts Festival, Jazz Festival, and a lot more running all year round. What’s all this about ‘Royal Miles’ and ‘Old Towns’? Edinburgh is split into two sections – the Old Town and the New Town. The difference between both is quite evident. The New Town is full of high street shops and trendy bars. Its main street is called Princes Street. Old Town, on the other hand, is awash with shops selling touristy kitsch and the pubs are of the more traditional variety. There are two spots in Edinburgh that offer breathtaking vistas over the city. The first is Carlton Hill. You can get to it from the west end of Princes Street. The walk shouldn’t take you anything more than ten minutes. The other vantage point is Arthur’s Seat. This is the extinct volcano which looms over Old Town. The walk up this steep incline will take you substantially longer thank Carlton Hill. Leave at least an hour to do this. And if you fancy a respite from the hustle and bustle of the city then take a trip to The Lothians in Edinburgh’s surrounding coast and countryside. Where can you find Edinburgh’s best architecture? Edinburgh is divided into the Old Town and the New Town. Obviously, the Old Town is where you will find the older side of Edinburgh’s architecture. The Royal Mile is home to some of the city’s most famous landmarks, such as St Giles Cathedral and Parliament House to name but a few. Is it expensive to go out in Edinburgh? Not at all. Thanks to over 20,000 students who study in the Scottish capital, socialising is extremely cheap in Edinburgh. Bars all over the city constantly have promotions and some bars have cheap drink all the time! There are bars all over Edinburgh. The Royal Mile is lined with traditional bars, while Cowgate in the Royal Mile has a number of bars popular with the backpacking fraternity. Grassmarket, also in the Old Town, is also full of bars. Over in the New Town you will find Edinburgh’s trendier bars. Not really. Bars around the Old Town don’t tend to have too many burly bouncers ready to question your age, but if you plan on going out in the New Town chances are you will encounter one or two doormen. In that case, have with you something that will prove you are the legal age to drink. Lots! Edinburgh always has great festivals on all through the year so you could plan your trip around one of these. There are also cinemas and theatres in Edinburgh. The Edinburgh Playhouse runs a great variety of shows and there are plenty of smaller-scale theatres with productions all year 'round. The smoking ban is enforced in Edinburgh so be prepared to go outside if you want a cigarette! Make sure you sample some local Scottish whisky while you are in Edinburgh, also. Is it expensive to eat out in Edinburgh? Depends on where you eat, really! Edinburgh is packed full of great restaurants, from award-winning chef-owned establishments to traditional fish'n'chips shops. You really can get something to suit any budget here. Edinburgh is often regarded as a food lover's paradise due to the amount of restaurants in the city. There are a lot of restaurants around the Castle and the Grassmarket but these are popular tourist eateries and can be very pricey. Leith and the West End are popular spots for food. Rose Street is also a great area if you are looking for some good traditional pub food. International food is very well represented due to the large choice of restaurants in Edinburgh. You can get anything from European to Chinese and Thai - and, not forgetting, some quintessential Scottish dishes! Do not leave Edinburgh without sampling some local cuisine. Most of these you will find in a traditional Edinburgh ‘chippy’ – a fish'n'chips shop. If you are ordering just chips then remember that in Edinburgh chips come with salt'n'sauce instead of the standard salt'n'vinegar found elsewhere. Also, Edinburgh chippies are fond of deep-frying almost everything! You can get deep fried pizza, deep fried black pudding, and - not forgetting - the infamous deep-fried Mars Bar! How many different modes of public transport are there in Edinburgh? Three – bus, rail and taxi. There are two bus providers that share bus stops but do not operate in conjunction with each other. These are LRT and First Edinburgh and are relatively cheap, but remember to have the exact change when paying. The train is only really for suburban travel. Taxis are mainly black cabs or mini-cabs. No. But you can buy a Day Saver ticket for the bus if you are using it a lot in one day. These are available from the driver. If you are staying around the city centre then you won’t need to use public transport much. Edinburgh is a small and compact city so it is very easy to navigate on foot. But there is the odd hill or two along the sightseeing trails so be prepared with some comfy shoes! You will, however, be rewarded with some great views once you make it up these! Here are our suggestions of five free things to do in Edinburgh so you can enjoy this great city while sticking to your budget. 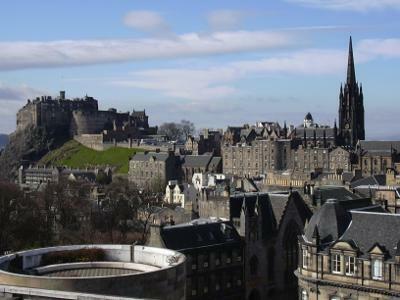 Take a free tour of Edinburgh to see all of the cities great sites. These tours start on the Royal Mile daily at 11am and 1pm - Just look out for the guides with the red t-shirts. 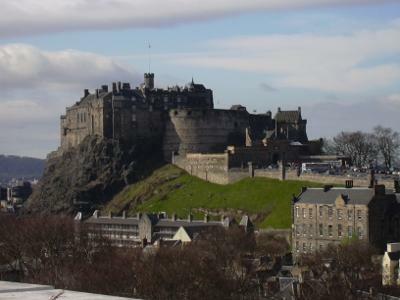 These free tours take in attractions like Edinburgh Castle and all of the historical sites of the Royal Mile. Taking a walk up to Arthur’s Seat or Calton Hill is a great free thing to do in Edinburgh. 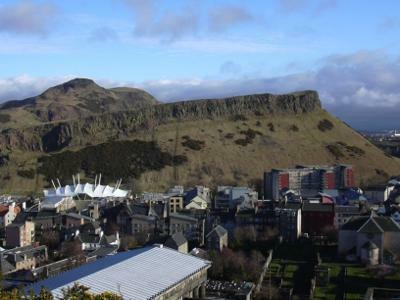 Arthurs Seat is the higher of the two and once you reach the top you will be met with some amazing views of Edinburgh. 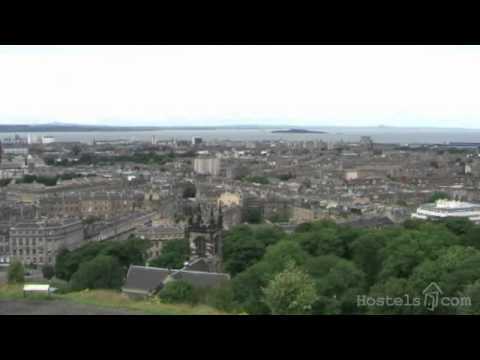 It is easier to reach the top of Calton Hill where you can also take in some great views of the city. Up here you can check out the Acropolis and other monuments. The Museum of Childhood is popular for both adults and children with some fun exhibits. The People’s Story museum is dedicated to the history of the people of Edinburgh. And The Writers Museum is home to a collection of manuscripts and pays tribute to the work of Scotland’s great literary figures. There are two other free museums in Edinburgh where you can spend hours looking around. In the National Gallery you will find some of Edinburgh’s most treasured art work. 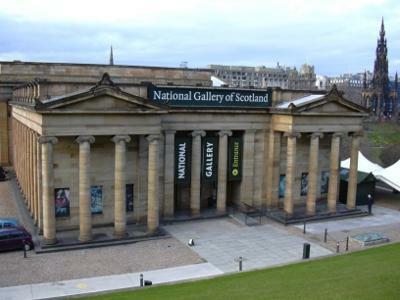 The National Museum displays Scotland’s varied history and many accomplishments. Explore the Old Town of Edinburgh to see some of the cities amazing architecture. Edinburgh’s most famous street – The Royal Mile – runs right through the old town and makes for an interesting walk. There are also the popular areas of Cowgate and Grassmarket that you will discover around the Old Town too. Edinburgh's summer comes alive every year as the city plays host to many festivals. 2012 will mark the 66th year of the Edinburgh International Film Festival from June 20th to July 1st. The Scottish city of Edinburgh may be small but you will find there is a lot to see and do here.